Some claim to feel as if they are being watched as they walk down the street. Some eyewitnesses have claimed to see a face pressing against the second story window of the house. They claim the face is somewhat darkened and hard to make out, but are able to see that the eyes appear to be bleeding, with blood streaking down the window. Locals say that a boy named Christopher was attacked and murdered in the house by an unknown assailant. His eyes were said to have been found ripped from the sockets when his body was discovered. 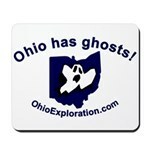 This entry was posted on Friday, October 29th, 2010 at 10:44 am	and is filed under Marion County. You can follow any responses to this entry through the RSS 2.0 feed. You can leave a response, or trackback from your own site.